MCC: What activities and initiatives are you involved in as Jones Day’s Partner-in-Charge of Diversity, Inclusion and Advancement? McGee Brown: I work primarily with our U.S. offices (though also internationally with London, Mexico City, Madrid, Amsterdam and Sydney) around diversity issues. I chair our monthly diversity committee call, work with our firm-wide hiring partner, support affinity groups at our target law schools and help our offices on their specific diversity strategies. This support ranges from involvement with national affinity bar associations and conferences, supporting local community bar associations, working with clients on diversity and inclusion strategies, supporting pipeline programs, and working with our women’s affinity groups across the firm. We are fortunate that our partners think about diversity and inclusion when developing client teams and spend time not just on recruiting but on creating an inclusive environment in their offices. Outside the U.S. the diversity issue is primarily recruiting and retaining women. We have many dynamic women partners who are reaching out to new women lawyers and mentoring them while helping them develop the skills they need to succeed in their practice. MCC: Let’s continue with the international component. With 44 offices in 19 countries, how does Jones Day approach diversity and inclusion outside the U.S.? McGee Brown: Except for London, the populations are pretty homogenous, so the focus is on women and making sure we recruit bright, talented women and create an atmosphere in which they can not only succeed but thrive. We do a quarterly women’s affinity group call that includes several of our overseas offices. The focus is on retention, flexible work schedules and skills development. We hosted a very successful women’s business development event in our Mexico City office last year that was well attended by Latin American women general counsel. It was very inspiring for our young associates to see women with families who were succeeding at the highest level of the profession. We are looking at doing similar events in Europe. In London, we are partnering with clients on LGBT programs and pipeline programs to increase the diversity of students in our summer scheme. We recently started a legal apprenticeship program for highly talented diverse high school students from low-income families. MCC: What more can be done to get more diverse lawyers into law firms? McGee Brown: It’s about exposure. If you’re in a diverse family, you may be a first-generation college student or you may not know anyone who is a practicing lawyer. For many law students, their idea of being a lawyer is shaped by TV and media, where everything is fast paced and exciting. That’s not always true in a law firm practice. I’m a big believer in exposing young people, even in middle school and high school, to what it means to practice in a law firm environment. I like pipeline programs, such as Sponsors for Educational Opportunity, where students apply to work in a law firm before they start law school and receive training so they can succeed in law school. For diverse students, the only requirement is that you are a high-achieving college student who’s been accepted at a top-tier law school. The students spend the summer between college and law school working in a law firm. They also attend webinars on writing successful law school essays and briefs. This aligns expectations by exposing diverse students to law firm work in a collegial environment where they’re supported and can be successful. Once they’re in the law firm, the most valuable aspect to this experience is to see people similar to themselves succeeding. It’s very hard to believe that you can be successful if you don’t see diverse people ahead of you who are succeeding. MCC: Women and diverse lawyers have many leadership roles at Jones Day. Are there aspects of the firm’s culture and approach that stimulate the development of diverse talent? McGee Brown: I love that about us. Collegiality is rooted in our culture and values. At Jones Day, it’s not enough to be a great lawyer. That’s a given, but that’s not all you need to succeed. It’s how we treat each other. There is a binding energy, conviction and credibility that arises from shared professional values. There is a mutual commitment of, and seamless collaboration by, a true partnership on a client’s behalf. All clients are firm clients so we are not distracted by origination credits. We provide the best lawyer for the client based on what is best for the client’s matter. I think our approach creates the best opportunity for diverse and women lawyers to succeed because it’s a meritocracy that rewards doing the right thing for clients and the firm. MCC: Jones Day is holding Perspectives and Pathways, the firm’s second annual diversity conference, on April 1 in New York City. Please tell us more about this conference, the difference it is making and what you hope to achieve. McGee Brown: We started this conference last year for first-year diverse law students. Our goal is to connect with diverse students who are interested in a law firm career but may have questions about whether it’s right for them. The conference is titled Perspectives and Pathways because we explore with the students the different career paths of our lawyers and clients, and we provide perspective for students to think about what is best for them. It’s an opportunity for us to bring diverse students together with many of our firm leaders, associates and clients in a relaxed setting. MCC: How can clients help grow the ranks of diversity within the profession? There are many other things clients can do as our partners because we’re all in this together. Whether we want to admit it or not, there is a pipeline issue. Most law firms would hire every diverse law student they could find, but we have to acknowledge how few diverse law students are out there, and not all of them want to go into big law. For those who do, the clients and the law firms should do everything we can to make sure that they have the opportunity to succeed. Joint summer programs, secondments, community and pro bono projects are ways that in-house lawyers can partner with law firm associates. Relationships build confidence. One example I love is the general counsel of a very prominent firm client, an African-American woman. I heard her talk about the great pride she took in advancing the career of three junior African-American women, only one of whom was a young partner, because her company had a very significant case that she entrusted to them. She told the law firm, “I think they have the skills to do this case. I want you to support them, but they’re going to take the lead.” That kind of confidence from a client goes a long way in advancing any lawyer’s confidence. It goes an extraordinarily long way for a diverse lawyer. MCC: That’s a great story. McGee Brown: When she speaks, you can feel her pride in being able to do what she did. She grew up in a small community and could never have imagined herself being the general counsel of a large company with the ability to help the next generation succeed. That is the ultimate satisfaction. MCC: Having served as a judge, are there specific experiences that shaped your approach to mentoring or recruiting diverse lawyers? McGee Brown: Yes, I loved the courtroom – all I wanted was to be a prosecutor, so I get it when diverse students tell me they can’t imagine themselves in a law firm. When I work with students and young lawyers, I ask them to imagine the experiences they can have working at a global law firm – being part of cutting-edge cases, working on matters around the world, being trained by the finest lawyers in this country. If you are looking for the excitement that comes from trial practice or the ability to “do justice,” all of that is possible at Jones Day. Along the way you can take on pro bono matters that interest you with the skills and the resources of a law firm behind you. In many of these instances, through the interesting client and pro bono work, through the great relationships and vast skills developed, young lawyers find that they can thrive in law firm life. MCC: Do you have specific advice for diverse young lawyers entering the profession? McGee Brown: It’s the advice I’d give to any lawyer. In any career, you’ve got to be willing to take ownership of your own success. Prior to becoming a lawyer, you’ve always been rewarded by doing the best – the best grades on the exams, being the best person in your class and always getting the A. When you come into a law firm, or any career in the legal field, it’s going to take more than that. You’ve got to be very clear on what your expectations are. You have to be willing to work hard at learning your craft. There is no substitute for developing the skills you need to be a great lawyer. You have to raise your hand for the difficult projects – sometimes even for the tedious projects. It’s about how hard you’re willing to work, how much you’re willing to go after the kind of work you want to do. If there’s a specific person who you want to work with or learn from, go into their office and let them know you want to learn from them. There is no greater compliment. Take responsibility for your career success. MCC: You recently received the Nettie Cronise Lutes award, which is named for the first woman to practice law in Ohio. 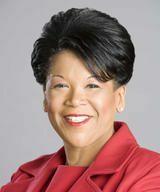 You have achieved a number of firsts yourself: first-generation college graduate, first African-American woman elected to the Court of Common Pleas in Central Ohio, first African-American woman to serve on the Supreme Court of Ohio. What words of wisdom do you have for women seeking to blaze their own trails? McGee Brown: Be fearless. To succeed in any career, you’ve got to take risks. You’ve got to have the confidence in yourself that if you take those risks and they don’t work out that you’re still going to be OK. With any career there’s a little bit of luck, a lot of hard work and timing. If you are fearless, confident in your abilities and willing to take calculated risks, you can have the career you want.